What if we could fly in the open air with very little sound other than the rushing air? How close would that be to a magic carpet ride? One that we could steer safely wherever we want, whenever we want. It is a dream we never really believed could come true. But The Dream Has Come True! 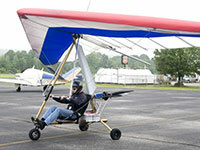 You can fly this way any time you want, with the ElectraFlyer! 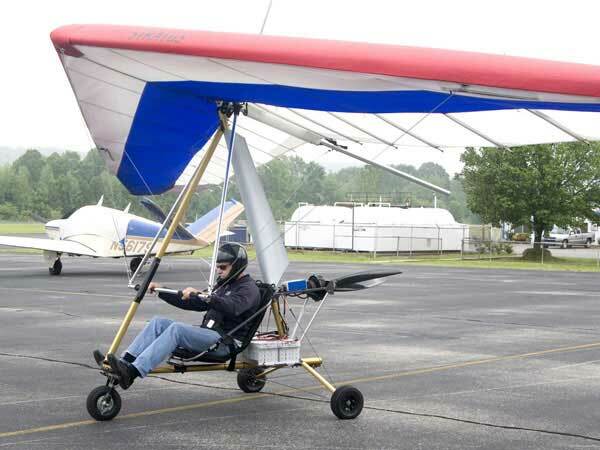 The nearly silent electric motor and the ultra quiet, slow turning propeller make this joyous dream a reality! 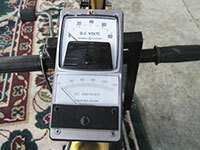 Motor: Low RPM, high torque unit. 26 pounds, 20HP 90% efficient at cruise. 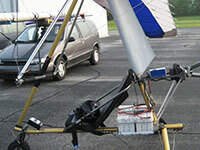 Max Thrust: Direct Drive - 53" Prop, 140 lbs, with reduction drive 1800RPM, 63" Prop 155 lbs. Controller: Pulse Width Modulation electronic speed control for highest efficiency. Battery Packs: Custom built lithium-ion polymer for highest capacity per weight (specific power density) High discharge rate cells for full power takeoff and climb. Choose 2.6kwh to 5.6kwh capacity depending on your use. A true legal part 103 ultralight even with largest pack.